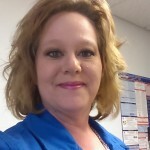 Lana Germann is a Certified Notary Signing Agent and Mobile Notary serving several counties in Central Missouri. I offer the convenience of remote signings for all types of loan closings for your clients. I will travel to the signer(s) to accommodate their busy schedules. I am trained, certified and background screened by the National Notary Association. I carry $100,000 in E&O insurance as well as my $10,000 Notary Bond. I offer flexibility and professionalism with each and every signing I handle. My office is fully equipped with dual tray printing for legal or letter size documents, fax and scanning capabilities and secure high speed internet as well as mobile data on my cell phone. I'm accessible anytime.